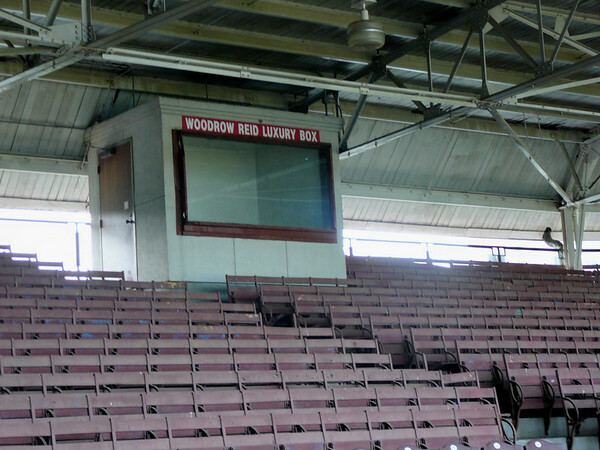 The stadium has definitely seen better days, but when stepping inside, you feel like you have been transported back to a time long ago. 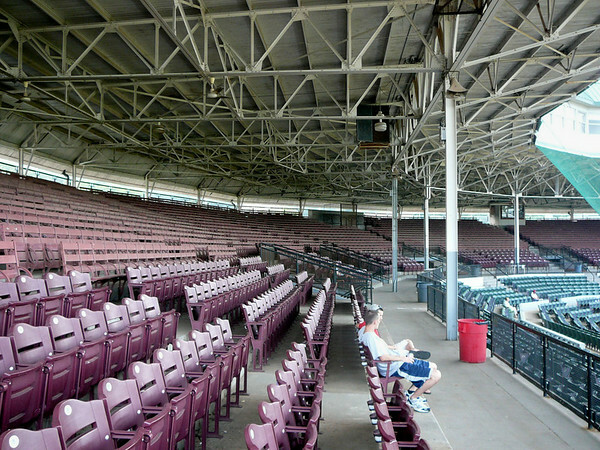 The stadium has a seating capacity of 12,000, but on this day there might have been 12 people in the stands. 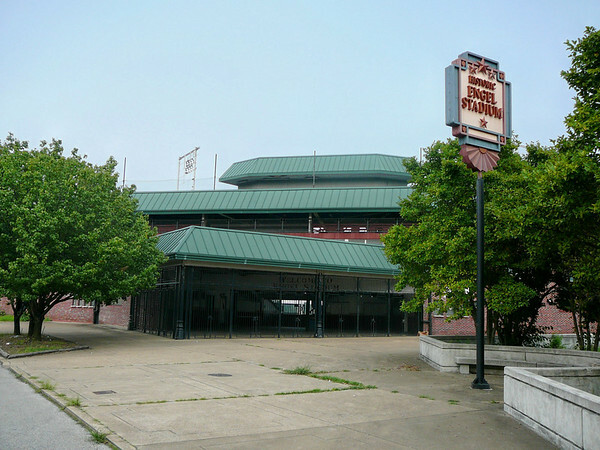 Historic Engel Stadium is the former home of the Chattanooga Lookouts. 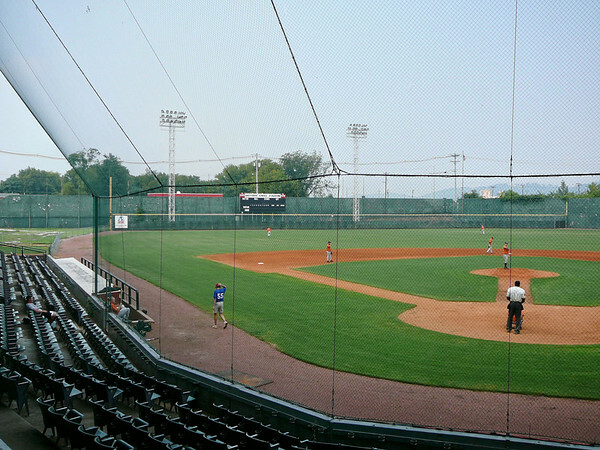 The stadium opened in 1930 and saw its last Lookout game played in 1999. 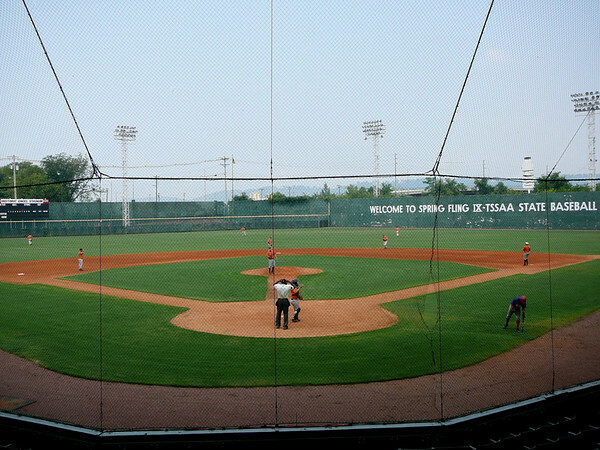 The dimensions are enormous as the stadium is 325 down the left line, 318 feet down the right field line, and an incredible 471 in dead center, which was the longest in professional baseball history. 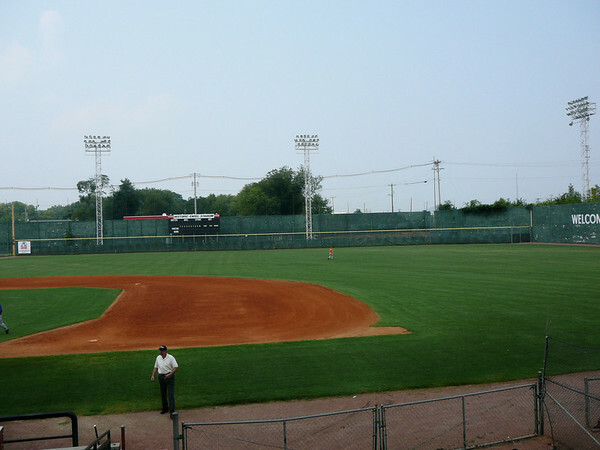 A new fence was added to shorten the distance in centerfield. 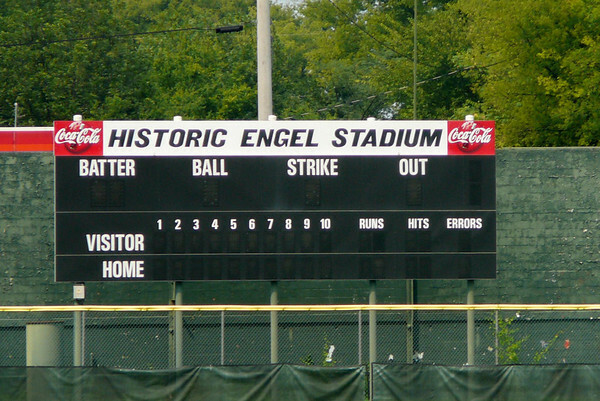 Hall of Famers that played at Engel Stadium: Babe Ruth, Lou Gehrig, Jackie Robinson, Willie Mays, Satchel Paige, and Harmon Killibrew who is the only player who hit it over the 471 foot centerfield fence. 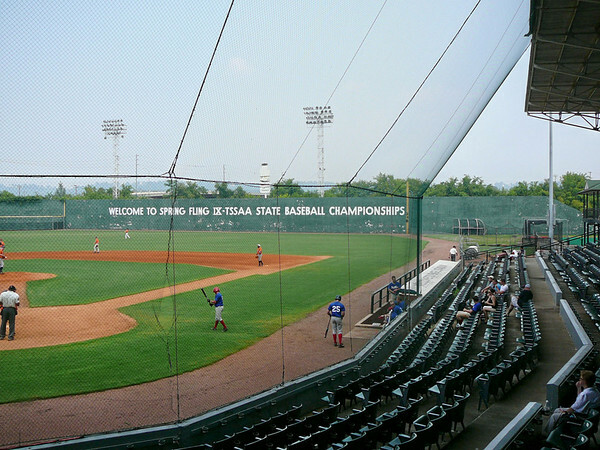 Today the stadium hosts the Chattanooga men’s league, local high school, and the TSSAA games. 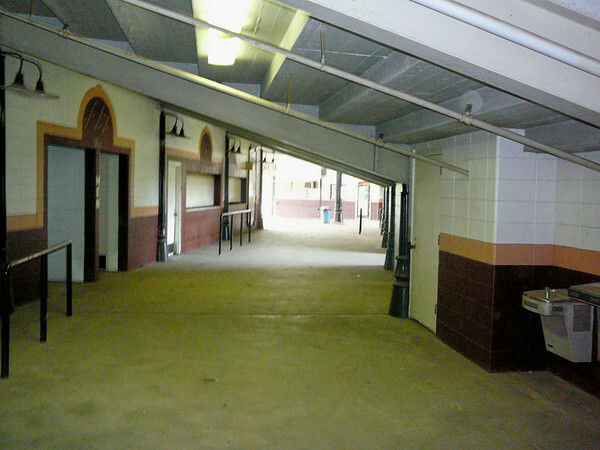 Pictures taken August 4, 2007. 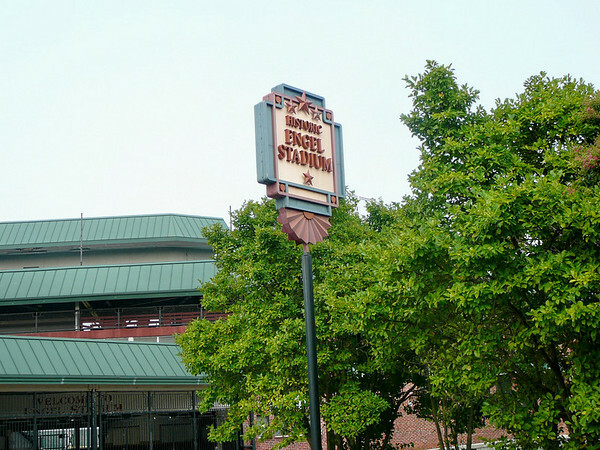 The stadium is currently owned by the city. 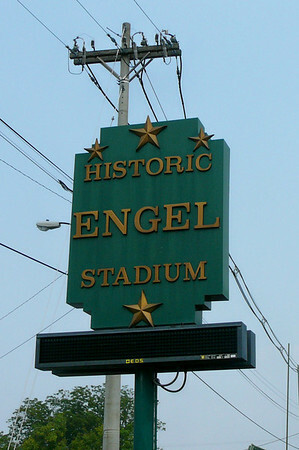 Tennessee Temple University calls Engel stadium their home stadium as all of the home games on their schedule are played there under the lights. I enjoy being a part of the history at this stadium. I feel privileged to walk on this field. 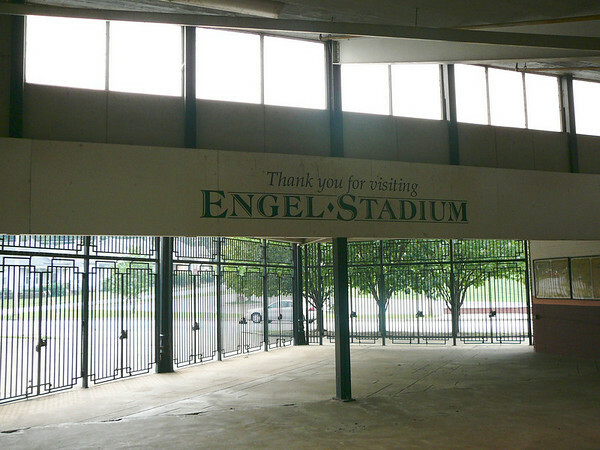 You might want to check out http://www.EngelFoundation.com and see what’s going on at Historic Engel Stadium. Thanks for your memories! 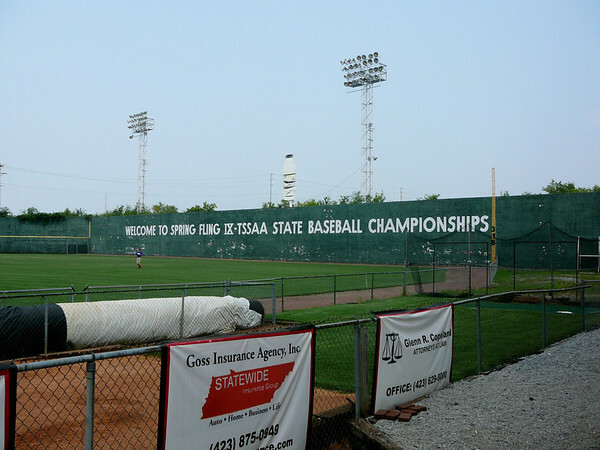 i played in the state tournament there in 1994. The memories are like yesterday. I hope they never tear it down.